To use your lab’s existing thermocycler or liquid handler, choose prepGEM Universal, optimized to extract DNA from solid tissue and dispersed cell culture. Hands-free, single-tube, temperature-controlled processing makes it possible to extract DNA in very small volumes and to protect the integrity of the sample. For cell culture, the kit gives linear results from 200,000 cells down to 1 single cell. It can be scaled down to sub-µl volumes making it perfect for single-cell work. 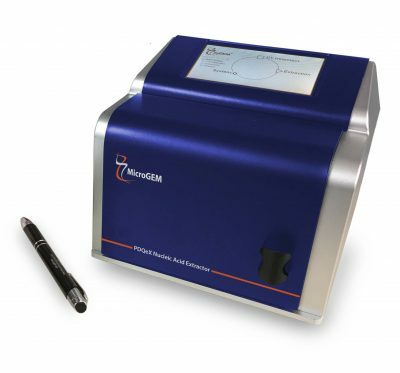 MicroGEM’s PDQeX Nucleic Acid Extractor provides greater automation and generates purified double-stranded DNA making it suitable for NGS (Next Gen Sequencing) and any other method that requires double-stranded DNA. 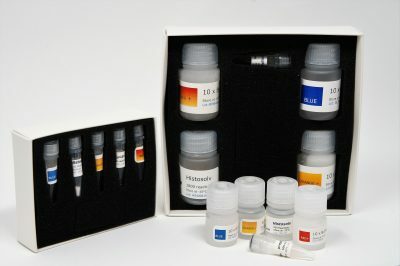 Because the PDQeX works better with larger volumes of reagents (100 µl), for small samples or single cells, use the prepGEM Universal reagent kit.